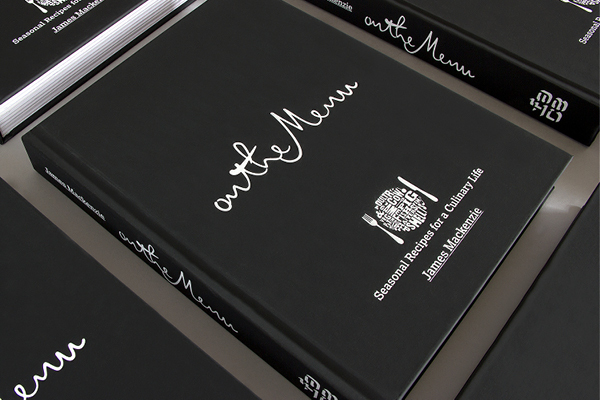 It took less than four years for the Pipe and Glass to be awarded a Michelin Star, an accolade it holds to this day. 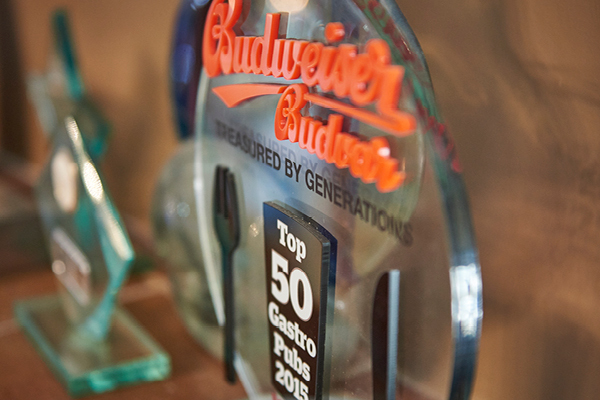 It’s also won numerous other awards, including The Good Pub Guide’s National Dining Pub of the Year for 2015, and was placed at number four in the national Morning Advertiser/Budweiser Budvar Top 50 Gastropubs Awards for 2013 and 2014, and at number three in 2015. The former coaching inn stands on the site of the original gatehouse to Dalton Park on the beautiful Dalton Estate, with parts of the current building dating back to the 17th century. 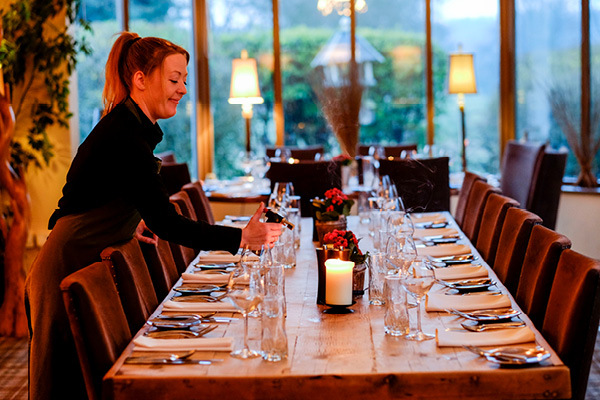 After an initial major refurbishment in 2006, James and Kate have updated the premises regularly, including an exclusive private dining suite. 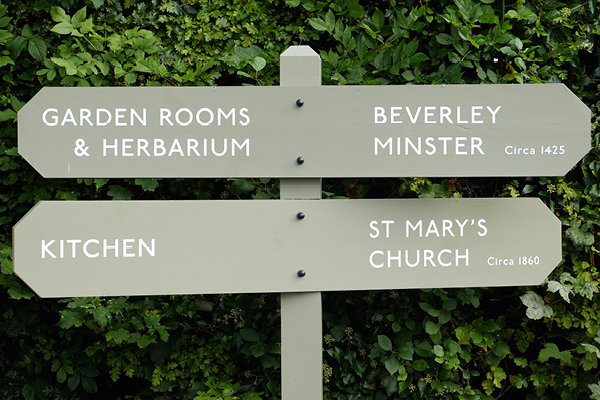 Most recently three new accommodation rooms and a kitchen garden were added as part of an ambitious garden redesign. The Mackenzies all enjoy working with the local community, regularly fundraising for causes such as the village hall and welcoming visits from local schools. 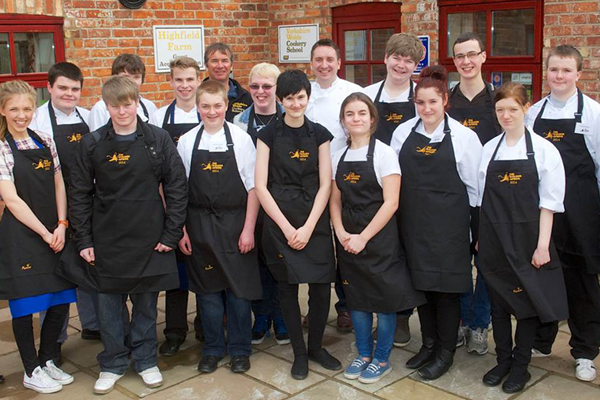 They’re also keen to encourage the next generation: the Golden Apron, a joint initiative with the Yorkshire Wolds Cookery School, is the search for Yorkshire’s best young chef; as part of his prize, last year’s winner is currently working on new products to go on sponsor Asda’s shelves in late 2016. 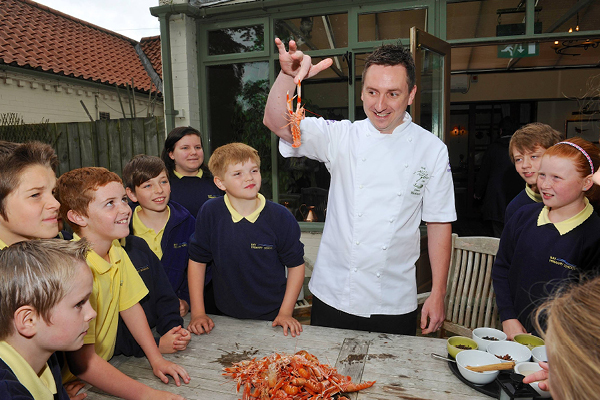 This year also sees the introduction of the innovative Yorkshire Chef’s Certificate, which James has worked on with Hull College. 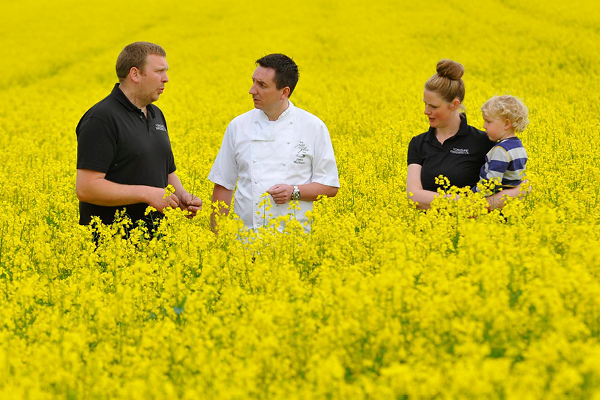 A ‘gold standard’ for young chefs, James is keen to see it rolled out across the county in future years. 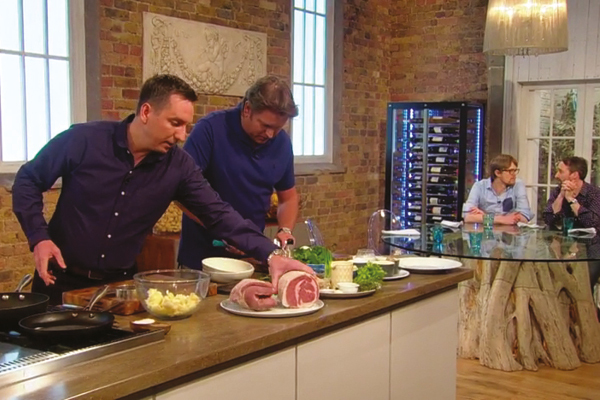 James regularly gives demonstrations at food festivals and events, and has appeared on James Martin’s Saturday Kitchen, and Kirstie’s Handmade Britain. 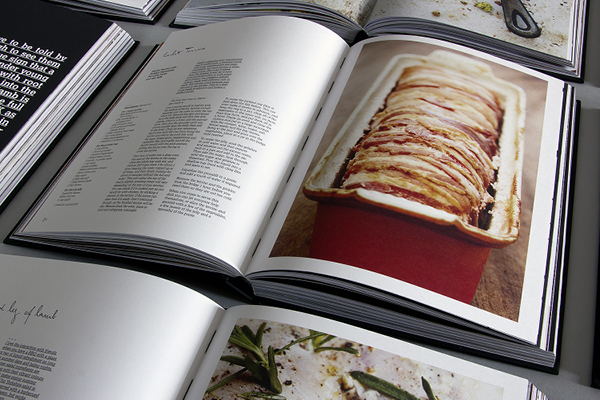 His first book, On the Menu, won the title of Best First UK Cookbook in the international Gourmand World Cookbook Awards for 2013. 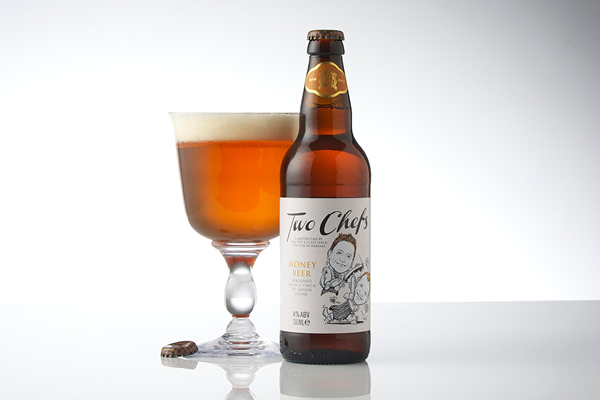 He has also created a beer with his old friend Andrew Pern from the Star at Harome – Two Chefs ale, produced by the Great Yorkshire Brewery, can now be found as far afield as Dubai, Hong Kong and Japan. 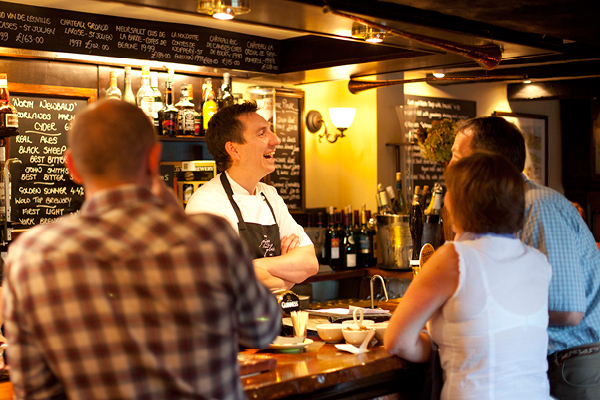 It’s held a Michelin star since 2010, is the Good Pub Guide’s National Dining Pub of the Year for 2015, and took bronze in the Morning Advertiser/Budweiser Budvar Top 50 Gastropubs Awards for 2015, making it the highest placed pub in the north – the Pipe and Glass is no stranger to major awards. 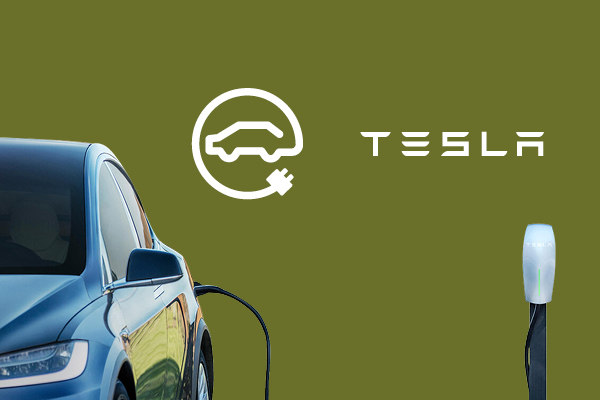 We are delighted to offer our customers an electric vehicle charging facility. 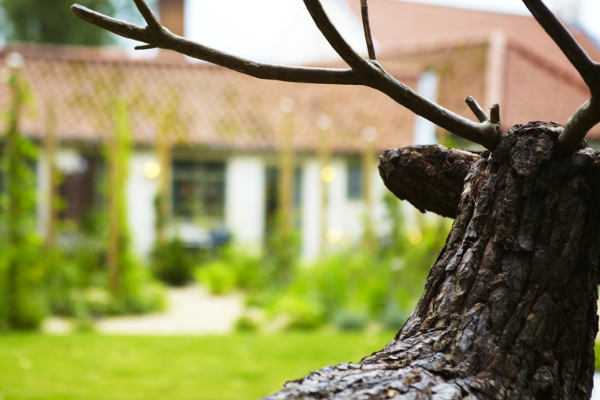 The Pipe and Glass is idyllically located on the edge of the glorious Yorkshire Wolds, a landscape which has inspired many artists, including David Hockney. 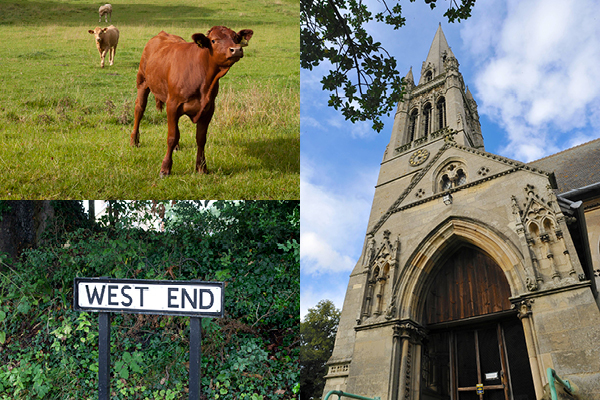 The area is awash with great places to visit – why not make the Pipe and Glass your base to explore the history, heritage and wonderful countryside around here? 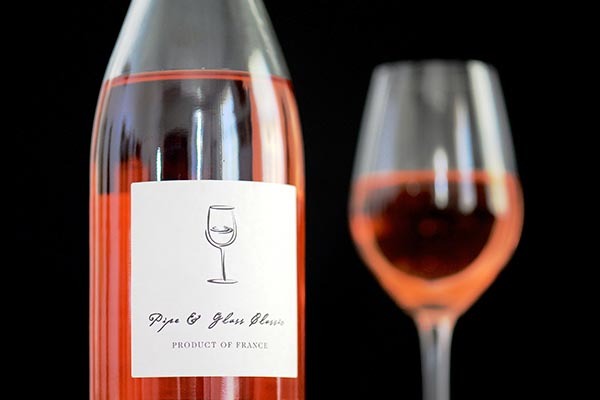 Great chefs demand great produce, and the Pipe and Glass has carefully built up a network of fantastic producers, most of them local. You can meet some of them here – and keep coming back to read more stories about our local heroes. 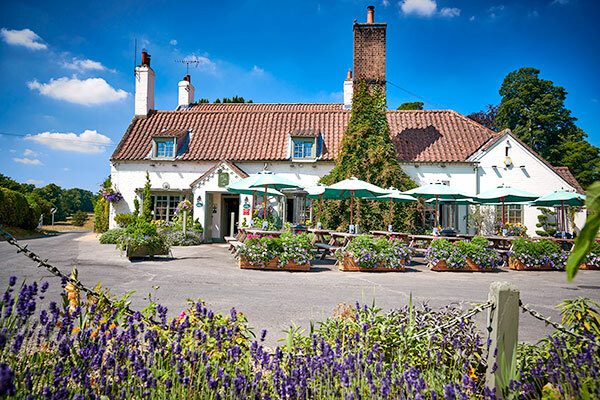 The Pipe and Glass Inn stands on the site of the original gatehouse to Dalton Park – the magnificent yew tree in the garden is believed to be at least 400 years old. The original gatehouse was eventually replaced by the current building, part of which dates back to the 17th century. 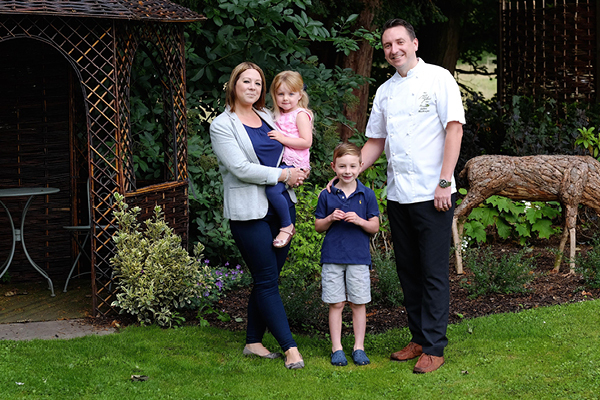 Both James and Kate love the community surrounding them in South Dalton and further afield across the lovely Yorkshire Wolds, and try to give back whenever they can.